​At the end of his life, he got Parkinson's disease and lost his mobility. I still imagine him, standing before hundreds of people, when he was headmaster of Norwich School and talking to the kids he was releasing into the world. Mark Stibbe, taken from an article in the Independent Newspaper, 18th June 2011. This is a breakdown of the men who formed platoon seven, column 5 of the 77th Indian Infantry Brigade in 1943. The platoon was one of the Infantry Rifle platoons in the column and was commanded by Lieutenant Philip Godfrey Stibbe (pictured left). Generally, Stibbe’s Platoon 7 was used as a rear guard to protect both its own column and that of Brigade HQ on many occasions during the operation in 1943. It also did more than its share of Perimeter duty, guarding the sleeping bivouac at night. Column 5 was arguably the most unlucky of units in relation to the amount of contact with the enemy and the amount of supply drops it received, or should I say did not receive. The battle at Hintha around the 28th March was Platoon 7’s most disastrous engagement, claiming the lives of over half their number, either KIA or captured to die as POW’s. They also supplied perimeter protection while the demolition experts of the column went to work on the railway and bridge at Bonchaung on the 6th March. It is possible I suppose that my Grandfather was a member of this platoon, but there is no real proof of this from the information I have unearthed so far. I did attempt to make contact in 2009 with Philip Stibbe's son Mark, but to no avail. Philip was born in Leicester in 1921 and had attended Merton College, Oxford, just before WW2 broke out. He enlisted into the Army straight from college in the summer of 1940. He found himself an officer in the Royal Sussex Regiment and then in May 1942, aboard the troopship 'Athlone Castle' and headed for India. With him were fellow fledgling officers from the regiment, George Borrow, Peter Bennett, John Francis Pickering and David McDonald Rowland. Lieutenant Stibbe was placed into Chindit Column number 5 under the original command of Captain Ted Waugh and his training commenced. By his own admission he had a fairly smooth time whilst training, but did rely heavily on his superb team of NCO's. Men such as Sergeant Marchbank and Sergeant John Thornborrow MM. From his book about his time in Burma, 'Return via Rangoon', it is clear that he was a popular officer who took time out to learn the background and foibles of his men. He often listened to them chatting whilst in bivouac, in an attempt to understand how they were feeling and what made them tick as a unit of soldiers. His book (front cover of the first edition seen right) was one of the first Chindit books I ever read and covers both training and the point of view of the POW very well. Stibbe was wounded during the action in the village of Hintha in late March 1943, it was here that column 5 lost it's cohesion as a full unit and fragmented into smaller groups of men. A young Burma Rifleman, Maung Tun offered to remain with the badly wounded Stibbe near the village (Hintha), in the hope that with some rest the officer might be able to recover and continue the march out of Burma. Sadly, this was not to be the case and Maung Tun was captured by the Japanese while searching for food and water for his charge. Refusing to divulge Stibbe's whereabouts, cost the brave soldier his life and is the reason why Philip Stibbe dedicates his book to the memory of Burma Rifleman. Stibbe himself is captured on the 31st of March and begins his long period as a prisoner of war to the Japanese. He makes the journey down to Rangoon Jail, having passed through all the usual POW camps on the way, places like Bhamo jail and the Chindit concentration camp at Maymyo. POW number 33 in Rangoon, he settles down to prison life in Block 3 after a period in solitary confinement. In April 1945 he is selected as one of the 'fit' prisoners and is marched out of the jail toward the Siam borders. As one of the Pegu marchers (see Chindit POW's) he marches alongside the South African RAF pilot Greg Kirwan, both are liberated in early May 1945, when the Japanese finally give up their POW's and flee over the Sittang Bridge for the last time. Sergeant Robert Marchbank was Stibbe's original platoon sergeant during training at Saugor. His potential was seen by higher command and he was promoted to Quartermaster of Northern Section's HQ. He ended up with column 8 on operation Longcloth in 1943. Sergeant 3599442 John Thornborrw MM. Marchbank's replacement and a very experienced soldier, he led the platoon with great skill and devotion. He survived the operation, dispersing with Denny Sharp's party in April 1943. He gave several witness statements about the fate of other personnel on his return to India. These included reports on Albert Berry and Robert Handley. 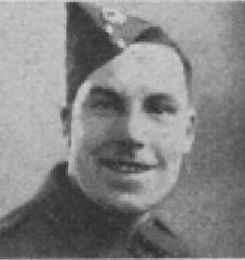 Sergeant 3779439 James Drummond. This 5' 6" Liverpudlian died from a gunshot wound to the chest during the lead up to the demolitions at Bonchaung Gorge on 6th March 1943. James was not serving with Stibbe's Platoon at this stage, he had been promoted to Sergeant towards the end of 1942 and had taken up the role of Section Leader in Lieutenant John Kerr's Rifle Platoon 8. Sergeant Drummond died from his wounds in the village of Kyaik-in, close to the railway town of Bonchaung. Amongst those missing in the Indian theatre of war is Lance Sergeant James Drummond, aged 29 and whose home is at 33 Downing Street, Everton, Liverpool 5. He joined the Forces about three years ago and has been in India about sixteen months. Corporal 3779430 Albert Berry. Killed in Action on the 28th March during a bayonet charge at Hintha. Corporal 3769092 Robert William Handley. Killed in Action on the same bayonet charge as Albert Berry. From Ptes. Baddiley and Carless: “Pte. H. Baxter died early in May. He was suffering from beri beri and would no longer eat. He was buried in our presence at the village of Sima, which lies to the south of Fort Morton." “I decided to try Dunn as my batman, he had been a leather worker from Warrington. He was dark and well built, a good swimmer and, although had always lived in a town, he had liked country pursuits. He looked after me admirably and kept me amused with his witty and sometimes caustic comments on life. Often he gave me very sound advice when asked, and occasionally, very respectfully, when not asked”. Pte. Patrick Feeney. Stibbe's 'runner', or messenger in Platoon 7. One of the few men from platoon 7 to make it back to India in 1943. Emigrated to Canada shortly after the war, died in 1993. Pte. Thomas Dennett. It has always been a difficult task to determine which one of the Dennett twins was groom to Flight Lieutenant Sharp and which was groom to Lieutenant Stibbe. In Stibbe's own words, both were identical. Logic and common sense (something that rarely applied during the first Chindit operation) would suggest that Thomas, as Sharp's groom would march alongside the Flight-Lieutenant at the forefront of the dispersing column after Hintha. If this was the case then he would not have been aware of the ambush by the Japanese and that his brother had been separated from the main body of the column. Thomas and around twenty other men returned to India with Flight-lieutenant Sharp in late April 1943. Pte. 3656706 Arthur Dennett. Twin brother of above. Both from Warrington, and both moved away with Denny Sharp after dispersal was called at Hintha, but Arthur was among the 100 or so men who were cut off from the main body by a Japanese ambush approximately two miles outside the village. Arthur was groom to Philip Stibbe's horse during training and on the operation in 1943. When Lieutenant Stibbe was wounded and eventually left behind at Hintha, Arthur Dennett would have joined up with the rest of the column as they marched away. After the ambush he joined up with Column 7 at the Shweli River and was placed into the dispersal party of Lieutenant Musgrave-Wood, which aimed to exit Burma via Fort Hertz and so had spent some of his last few days as a free man with my Grandad and other men such as Leon Frank and James Ambrose. He was last seen in the village of Lewein on the 30th April, but sadly died of beri beri combined with dysentery in Block 6 of Rangoon Jail on the 27th July (see Japanese index card below). Arthur Dennett was buried in the English Cantonment Cemetery, his POW number was 431. Pte. 4202370 William Roche. This soldier tended Stibbe's wound at Hintha before he (Stibbe) was left with Maung Tun, later attempting to disperse with Denny Sharp's party he had to be left himself at a village called Nankhin. He was taken prisoner and died in Rangoon on 18th January 1944. His POW number was 445 and he was buried in the English Cantonment Cemetery, grave number 145. Pte. Davies. This man replaced William Dunn as Lieutenant Stibbe's batman. He is one of five men from operation Longcloth with the surname Davies and it is my belief that he made it back to India in 1943. Pte. 5112606 James Boyle. Led the wounded Stibbe out of Hintha on horseback. He was later captured on the Shweli sandbank on the 1st April and spent the next two years in Rangoon Jail. He was liberated with the Pegu marchers in early May 1945. James received a Mention in Despatches for his time in Burma which was gazetted in July 1946, presumably for his actions as a POW. Pte. 5957100 John Stanley Fuller. Possibly platoon 7? Was killed fighting close by to Captain Alec McDonald and Sergeant Pester at Hintha. "Gray, a French polisher from East London, was asked to meet John Kerr’s group at Taungmaw on the 5th March (1943) and lead this platoon back to the main column. He never made contact and has not been seen since." The Rangoon Memorial, Taukkyan War Cemetery. To bring this story to a fitting conclusion, here are two photographs (above) from my trip to Burma in 2008. On the left you have the inscription at the entrance to Rangoon War Cemetery, in which all the men from Stibbe's platoon who died in Rangoon Jail are buried. 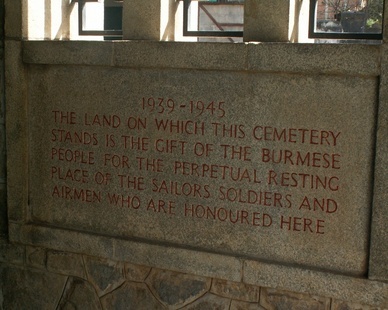 The other image is of the Rangoon Memorial at Taukkyan War Cemetery. 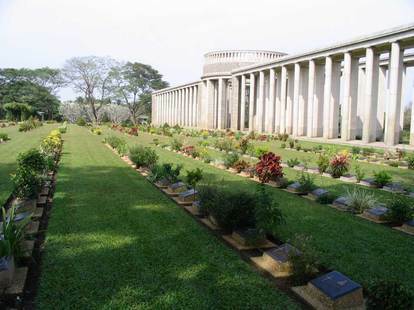 This cemetery is found on the outskirts of Rangoon and the memorial displays the names of men who died during that campaign, but who have no known grave, brave men such as Berry, Handley, Drummond, Baxter and Dunn. By good fortune, whilst glancing through some old posts on the WW2Talk website, I happened upon a group of photographs which formed part of the War Illustrated magazines pictorial Roll of Honour for 1939-45. Amongst the 1000+ images was one of Corporal Albert Berry who had lost his life in 1943 during the battle at Hintha. Lance Corporal Albert Berry aged 31 and whose home is at 39 Phythian Street, Low Hill, Liverpool 6, is also missing in the Indian theatre of war. He joined the Forces three years ago and went to India just before Christmas 1941. In civilian life he was employed by Messrs. Lunts, the Liverpool confectioners. This photograph of Stan Fuller was sent to me by the family of L/Cpl. Gerald Desmond another soldier from 5 Column in 1943. Both these men were good friends during training in India and served with the 142 Commando platoon in Bernard Fergusson's unit. Pte. Fuller was killed at the battle of Hintha on the 28th March and is remembered upon the Rangoon War Memorial at Taukkyan War Cemetery. L/Cpl. Desmond was captured by the Japanese in mid-April 1943 and spent just over two years in Rangoon Jail as a prisoner of war. News has been received that Stanley Fuller, who attended Cobham Central School, has been killed in action in Burma. He was 23 years of age, and was brought up by his grandparents, Mr. and Mrs. J. Fuller, of 57 Anyards Road, Cobham, who are now both dead. Stanley Fuller joined the Army soon after the outbreak of war and was in a Commando Unit. Philip Stibbe after the war. After receiving an email enquiry via this website from a fellow researcher looking into the Old Boys from Norwich School who were killed during WW1, I became aware of more information in relation to Philip Stibbe and his career after WW2. The new information comes from the book, The History of Norwich School, compiled by Richard Harries, Paul Cattermole and Peter MacKintosh. 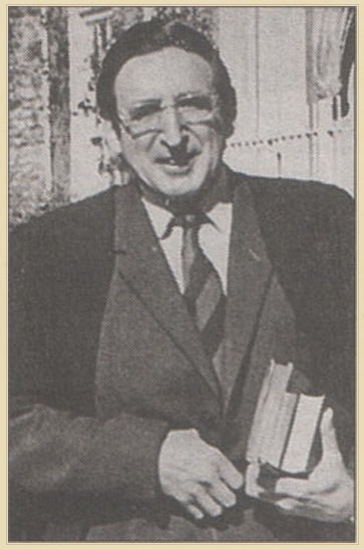 Philip Stibbe had succeeded Stuart M. Andrews as Headmaster in 1975 after a period of radical change at the school. It was now Stibbe's turn to guide the school through the new and uncertain times of non-direct grant funding and other governmental changes to the education system at that time. "A surprising decision, since Stibbe was in his middle fifties at the time, whereas Andrews was only forty-two when he moved to Clifton (his new appointment). All the same, the Governor's choice turned out to have been wise; a revolution had been carried out adventurously by a brilliant young man, and the process of consolidation which now must follow would be most safely conducted by an older man of long experience. Consolidation however did not mean stagnation, for Stibbe had his own ideas to carry out." Previously a Housemaster at Bradfield College in Reading, Stibbe was known for his liberal minded approach to management, a style he maintained during his time at Norwich. "His geniality, kind-heartedness and concern for both boys and colleagues were evident to all, and he was deservedly popular both within the school and among the parents, who responded warmly to him. Cool in moments of tension, he was all the same not a man to seek encounters with those who disagreed with him, and usually got his way by quiet diplomacy and edging round obstacles which would have defied a head-on attack. By nature he was a politician rather than a soldier." Philip's wife, Joy also took an active role in the running of Norwich School, taking care of the renovations to the Chapel, maintaining and cataloguing the school's impressive collection of artwork and re-designing the school gardens. Stibbe worked extremely hard to keep school places open to the less well off. He developed his own strategy for privately sponsored scholarships and participated in the new government scheme for assisted placements at the school. He introduced a new intake for seven year olds within the Preparatory Department and had new buildings constructed to accommodate these new students. Perhaps the most important project during Stibbe's tenure was the restoration of the school Chapel. This went along with Stibbe's strongly held view, that spiritual development was an essential part of a well balanced education. He introduced reform to the school House system, as well as introducing universal class setting across all academic subjects and reducing class size through increased staff numbers. He improved the school curriculum in subjects such as Design and Technology and Music and introduced Computer Technology in 1980, purchasing no less than three computers for his students at that time. Overseas expeditions were encouraged to help broaden student knowledge and experience. Stibbe's own strong social conscience led to the development of the 'Community Service Volunteers Group' at Norwich, an initiative to increase links with and aid for the local community. 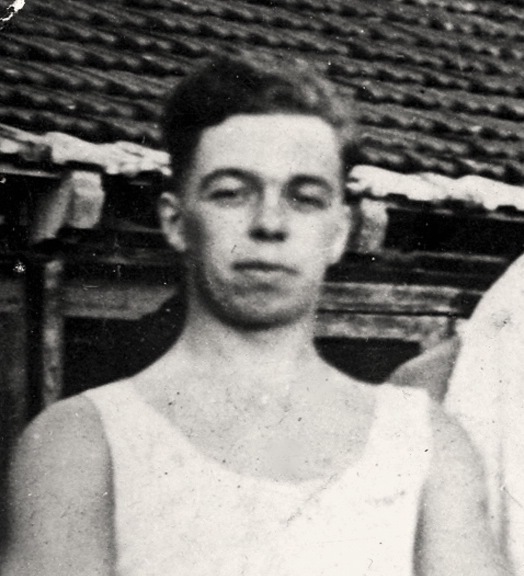 Philip Stibbe believed positively in the physical well being of his students and championed the more individualistic sports such as tennis, squash and fencing, feeling that the more traditional team games were already well catered for. He was responsible for the planning of a new sports pavilion in the Lower Close section of the school, a project that was completed two years after his retirement. Philip Stibbe's time at Norwich was an exceedingly successful one. He had steered the school through the challenging changes in admissions, funding and fee setting. He had increased student numbers considerably and improved many of the school facilities and buildings, but had still balanced the books whilst doing so. More than anything else, he had created a welcoming environment for students, parents and staff to enjoy during their time at the school. To this end, the news of his planned retirement in 1984 was greeted with much sadness and regret. Philip Stibbe died on the 17th January 1997. I would like to thank Jennifer Pearce for her assistance in referring me to the book, A History of Norwich School. 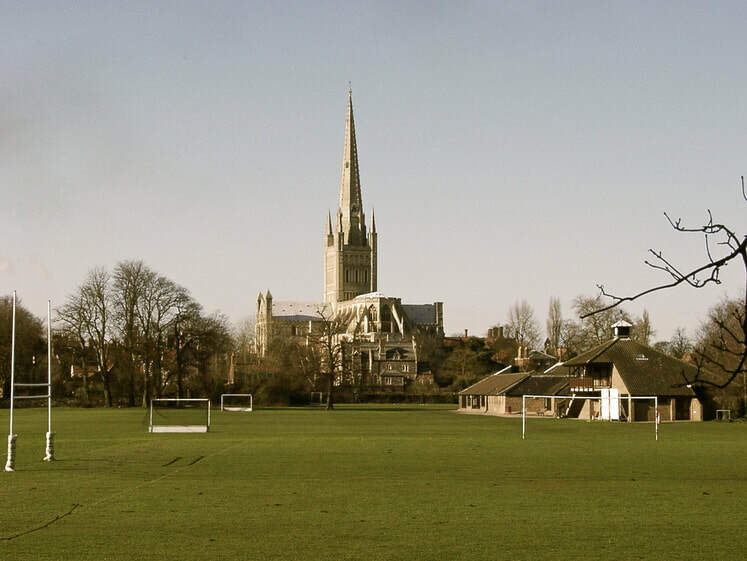 Seen below is a photograph of Norwich Cathedral with the schools Lower Close Sports field in the foreground, including on the right hand side the pavilion and buildings conceived and designed by Philip Stibbe. Lower Close Playing fields, Norwich School. Mrs. Crosthwaite of 73 Gilroy Road, Liverpool 6, has now been officially informed that her nephew, Private William Roche, aged 28 of the King's Regiment (India Command), and previously reported missing in Burma, has died whilst a prisoner in Japanese hands. Before enlisting into the Army Private Roche was employed by W. Ariel Gray and Company, Everton Road. Copyright © Steve Fogden 2011-15.